Gil Menna is a co-chair of Goodwin’s REITs and Real Estate M&A Practice. Mr. Menna also participates in the firm’s Mergers & Acquisitions, Capital Markets, Public Companies, Real Estate Tax and Private Investment Funds Practices. He is a former member of Goodwin’s Management and Executive Committees, and former chair of the firm’s global Real Estate Capital Markets Group. Mr. Menna represents many of the nation’s leading publicly traded real estate operating companies in connection with their merger and acquisition, corporate finance and corporate governance matters. 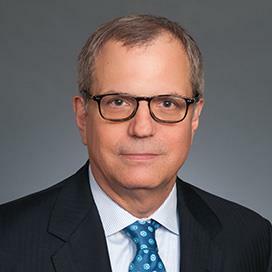 In addition to his extensive knowledge of the public REIT industry, he has significant experience representing real estate investment managers in connection with their private equity capital, merger and acquisition, and portfolio acquisition transactions. For the past 10 years, Mr. Menna has captained Team Goodwin in the Pan-Mass Challenge, a charity bike ride which raises money for the Dana-Farber Cancer Institute. In that time, Goodwin has raised over $1,000,000 for cancer research and treatment. Overall, he has participated in the Pan-Mass Challenge for 20 consecutive years. You recently represented Monogram Residential Trust in its privatization transaction. Do you think the REIT privatization trend is going to continue? I think it will provided there's still significant interest by foreign investors in US real estate with the real rate of return on the 10-year Treasury hovering around 50 basis points. Unless that changes, I believe we’ll continue to see significant foreign capital interest in US real estate, especially through privatizing public REITs. We saw that with Parkway and then, obviously, Monogram with the consortium sponsored by Greystar. It's dependent upon the real rates of return, but I don't think Treasury rates are going to increase materially anytime soon. You have been involved with two of the biggest US REIT IPOs—Paramount Group and Invitation Homes. Can you talk about your experience representing these companies during that time? With Paramount, we were issuer’s counsel and taking the organization public was a long and arduous process. Paramount was really a real estate investment manager with significant US and foreign capital under management. Putting together the formation transactions for the offering was complex and involved, and I’m very proud of the IPO because it’s a great example of how to get a REIT roll-up right. Timing is also incredibly important for REIT IPOs—entering the market in November of 2014 was critical for Paramount. It’s a great portfolio of assets—I greatly enjoyed the work and was closely involved in the IPO process. I was also closely involved the Invitation Homes IPO with my partner Scott Chase. For this IPO, we were the underwriter’s counsel and Simpson Thacher was issuer’s counsel. Blackstone sponsored the company and Invitation Homes’ operational team in Texas was very sophisticated. It was a joy to work with such a remarkable team. These IPOs were transformational for the industry. They were exciting and a lot of fun to work on. You have structured and executed REIT transactions totaling well in excess of $160 billion, with more than $120 billion in M&A transactions and $40 billion in equity and debt securities offerings. What has been the most challenging project you encountered and why? It was the Taubman Centers IPO, which was quite some time ago now. Taubman Centers is a retail mall REIT that was sponsored by the Taubman family out of Michigan and it used institutional capital as its main source of equity capital. We took the company public in 1992 and it was the first public UPREIT structure. Because it was a unique structure, the first time a company brought together a portfolio using a public REIT and a partnership, there was a lot of explaining to do to the public markets. The transaction required everyone—Taubman (the organization), the underwriters, Goodwin and all other law firms and constituents involved—to be intently focused on whether the proposed structure worked from a legal standpoint and would be respected from a tax standpoint. It was unprecedented and therefore very exciting. Also, as any student of REIT history will tell you, the UPREIT structure we used was respected but wasn't well received at the time because of perceived conflicts of interest. In fact, it took several years for the structure to gain momentum. In the Taubman IPO, the public REIT was a minority investor in the operating partnership and the Taubman family, General Motors Pension Trust and other investors were the controlling equity investor in the underlying operating partnership. It was intellectually challenging and fortuitous in terms of putting a marker in place for future REIT IPOs that allowed sponsors to defer a lot of tax gain. A lot of REITs went public in the 1990s because the Taubman IPO worked. Eventually, the UPREIT structure gained hold and history speaks for itself—without the UPREIT structure, we wouldn’t currently have a trillion dollars in equity capitalization in the public REIT market. With the new administration, do you think we’ll see any changes in the tax law affecting the real estate capital markets industry? No doubt. There’s a sense that the White House and President Trump remain focused on carried interest legislation. The current White House blueprint for tax reform is not very extensive, but lawyers reading between the lines believe the focus on carried interest will continue. This means sponsors of private real estate funds and maybe even management of public UPREIT structures may not enjoy the tax advantages of having profits interest in their partnerships. Having capital gain treatment, as opposed to ordinary income treatment, is important for real estate investors. The blueprint also proposes to reduce the corporate tax rate to 20%. REITs enjoy a dividends pay deduction, so the current 35% corporate rate doesn’t necessarily apply to them. I don't think, though, that a corporate rate reduction will cause more people to incorporate real estate operations when a REIT vehicle would otherwise be available to them. Over the course of your career, how have real estate transactions changed? Bigger dollars are involved in larger and larger portfolios. Whether in the private or public markets, large portfolios attract a premium because they’re more efficient to purchase. Capital is deployed much more effectively and efficiently. Equity Office Properties, for example: it was a $30 billion going private transaction and one of the largest in the history of corporate America. Blackstone had a lot of capital and they deployed it well. I’ve seen it time and again – a lot of capital efficiently deployed into the real estate asset class and assembling iconic portfolios to get a premium for the size of the holdings. That doesn't mean bigger is better per se, but there’s a premium associated with critical mass. What are the greatest lessons you’ve learned as a professional in the capital markets industry? Your reputation and your clients matter a lot when working towards your client’s business objectives. Your fortitude and dedication to your client matter a lot as a lawyer, but they will not take you far if you’re not representing a respected and thoughtful organization or principal. Representing Ed Linde and Mort Zuckerman in connection with the 1997 Boston Properties IPO was a lot easier because of their reputation. The same was true for Paramount Group in 2014. Another good example is Blackstone. Simpson Thacher has a great client in Blackstone so it makes their job easier because when Jonathan Gray tells you he's going to transact, he'll transact. Bruce Flatt at Brookfield is another fine example. That's the common lesson. You client’s respect in the industry really matters in terms of getting things done. I’ve also learned that sophisticated clients don’t care how much you know as a lawyer until they know how much you care about what they're doing. The knowledge is, to some extent, the fungible part after you develop and maintain the relationship. There are a lot of great real estate capital markets lawyers in the country, but the differentiator is how much those lawyers care about their client’s enterprise architecture and the entrepreneurial objectives. Could you share some experiences on how you got your career started and how it has progressed? I went to law school in large part because I had tapped out my borrowing capacity from the state of New York when I went to Syracuse. Let me explain further. I started college with a penchant for architecture and have always loved real estate. Then I found economics and wanted to get a Master’s degree in the discipline. My family, though, wasn't too keen on supporting that career trajectory. I come from a traditional family where being a doctor or a lawyer meant you were moving up (and perhaps out of the neighborhood as well, which was considered a good thing back then). So, having exhausted my borrowing capacity I was told “we'll help you financially if you become a doctor or lawyer.” Not being exceptional in sciences meant I had to become a lawyer and put my study of economics on hold. I did not enjoy law school as much as I enjoyed college, but my tax professors in law school at Georgetown were terrific, Marty Ginsburg in particular. Marty, Ruth Bader Ginsburg's late husband, introduced me to the REIT vehicle and helped me land my first job in San Francisco. The confluence of multiple related interests in real estate, tax and business/economics has positioned me well in my career. My background has allowed me to help my clients from a tax as well as a business standpoint. What is your favorite thing about teaching your course at Columbia Business School? My favorite things are that Professor Emerita Lynne Sagalyn has allowed me to mold the class to a structure that I think best serves the students, and that The Paul Milstein Center for Real Estate appreciates the benefits of having lawyers teach business students about real estate M&A. Professor Chris Mayer, and Lynne previously, have also been focused on bringing that dynamic into a classroom with both law students and business students, who learn a lot from one another. I enjoy telling the business students, “When you become bankers or entrepreneurs, and you’re ready to hire the lawyers, don’t forget that they add a lot of value—don't think they're a commodity!” It’s fun to work with both business and law students. I also like the case study approach we’ve adopted, and I've enjoyed working with Lynne over the years on these, especially the Archstone one. Also, Columbia’s alumni group is exceptional and extensive. Warren Buffett ’51 and David Neithercut ’82, for example – it's amazing how many real estate entrepreneurs have also gone to Columbia. David was also willing to teach the Archstone case study with us last year. It doesn’t get any better than having David, one of the Archstone buyers, helping teach the Archstone case study! What do you hope that students take away from your course? It’s important to understand that the details and the terms matter. It's not just about the cap rate. There can be long-lasting and significant value in the terms. Creative thinking and structuring are instrumental to adding financial value as well. What advice do you have for students who are looking to build successful careers in the real estate capital markets industry? Know the waterfront. There’s a reason firms like Goldman and Bain have you do a bit of everything before you decide your specialty. Real estate and real estate capital markets law is itself highly specialized and difficult to master, yet when you know the waterfront you can leverage knowledge beyond the law to help your clients. Understanding what developers do will help you capitalize developers; understanding how capital thinks with respect to its risk allocation will help you understand how to attract capital as a developer. Knowing the keys to successfully deploying capital and understanding the necessary components for generating ROI from real estate—ground-up, through acquisitions or otherwise—are critical. Stephanie Deutsch ’18 is a Los Angeles native and second-year student focusing on real estate investment and development at Columbia Business School. After graduating with a degree in Business Studies and Art History at New York University, Stephanie spent four years working in product development and global marketing at L’Oréal. In addition to her role as VP of Alumni & Mentorship in the REA, she also serves as the President of the Hospitality and Travel Association. Stephanie spent the last summer interning in the hotel investment group at Brookfield Asset Management.